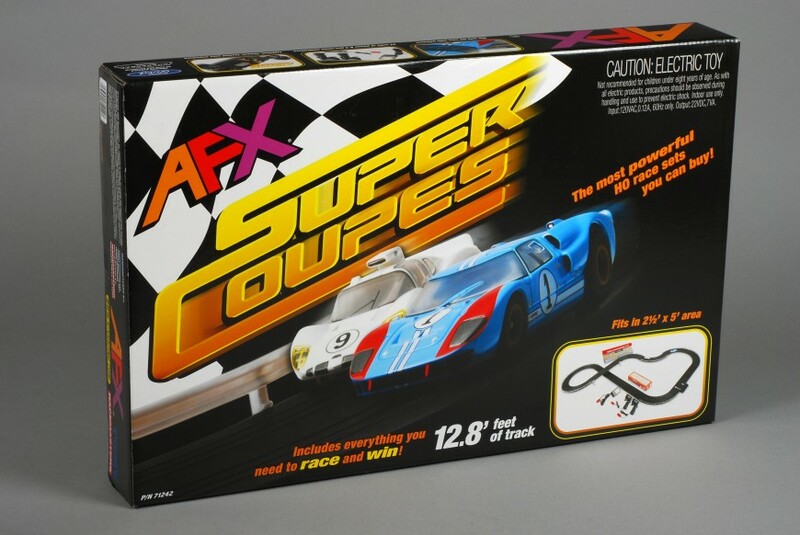 This set is a remake of the popular Super Coupes originally featuring Cobra Daytona cars on SRT chassis, now with a pair of collector quality CLEAR GT40 and Chaparral on Mega-G chassis. The set features 12 track pieces. A directional tri-power supply allows you to switch directions of the cars by just turning the plug at the terminal track. The tri-power supply makes it easier for the younger racers to stay on the track. How easy can this get.